This week has seen the launch of a brand new way of finding a publisher for your writing. If you've been writing for any length of time you'll know how difficult it is to get a publisher – and how long it can take to find suitable ones to submit to. There are books you can buy with lists of publishers, or you can go down to your local library, but then it's a case of trawling through hundreds of inappropriate listings just to find the dozen or so that might look promising. We've all been there – the hours, evenings, whole days that disappear into searching those books – that's all time you could (and should) be spending writing. Most writers, whether published or not, continue to have a "day job", and for most it's a struggle to fit their writing in (over 18 per cent of people who cancel their subscription at firstwriter.com cite a lack of time as the reason), so the last thing you want to be doing is spending time searching for a publisher, instead of creating something for them to publish. That's why firstwriter.com has created the Publishers Database – to allow you to find just the right publisher to take on your work, and at the same time give you your time back to write and polish your masterpiece to perfection. You can create a custom list of publishers matching your requirements at the push of a button – doing the work of hours in a matter of seconds! Our search facility gives you all the tools you need to zero in on the publishers you're looking for, allowing you to be as broad or as specific as you want: on the one hand you can browse it like a print listing, or just search for all the fiction publishers listed; or on the other you can search for publishers of fiction, romance, and humour, in the United States only, with annual turnovers greater that $1 million a year, who publish more than 100 titles a year, are not refusing new material, and who are not known to be unfriendly to unsolicited manuscripts – or anything in-between! You can ask to see only publishers who have an email address listed, or website, telephone, or fax number, and even specify between which years they were founded (if that really bothers you!). What's more, because the database is online it isn't restricted by space in the way that traditional print listings are: details can be spaced out and formatted so that they are easier to read, and more information can be included. Listings can also be more up-to-date – on our other databases there are instances of errors being reported by users and the correct details being researched and posted on the site within 24 hours! That's compared to print listings that are compiled weeks or months before publication, and are expected to last for a full year. Our database also brings you other features not possible on a traditional print listing, like the user feedback feature. This allows users to post comments regarding their experience with a particular publisher, which is then included in the listing, providing a unique and valuable writer's perspective on the companies listed. To try out the new Publishers Database for free click here. 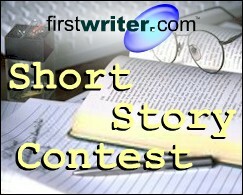 In just a matter of days firstwriter.com's First International Short Story Contest will close for submissions – if you haven't yet submitted your story you have until May 1, 2005, to do so. The competition is open to short stories in any style and on any subject, up to 3,000 words, and you can enter online in seconds by clicking here. The winner of the competition will receive a cash prize of £200, or the equivalent in your currency (that's over $300). Not only that, but there will also be ten special commendations awarded. All eleven winners will be published in firstwriter.magazine and receive a free annual subscription to firstwriter.com worth $28.49 / £18.99, allowing access to our daily updated databases of over 200 writing competitions, over 600 literary agents, over 250 book publishers, and over 450 magazines. firstwriter.magazine Managing Editor, J. Paul Dyson, said: "the response to our first story contest has been amazing, and we already have a great line-up of entries to choose from. Having said that, none of the judging has yet been done, and there's always room for another quality story – anything submitted right up to the May 1 deadline has a chance of winning." To enter the competition, click here. For details of over 200 other current writing contests, click here. As a nonfiction author, you can breathe a sigh of relief. You don’t have to write your whole book. In fact, you shouldn’t write your whole book. 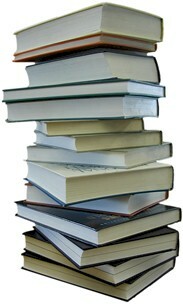 You should write a book proposal, and get paid to write your book. That’s how the mainstream publishing world usually works. But before you start breathing too easily, consider this: upwards of ninety percent of all book proposals get rejected. The good news is, you can learn about and avoid the most common reasons for rejection. The bad news is, it takes some work, and there are never any guarantees. You don’t have to go through this process alone. You can find a writing buddy in the same boat, or hire a qualified publishing consultant with a track record of accepted proposals to help you through the process, or join a class led by a similarly qualified expert with other authors going through the same process. Before I go further into the reasons book proposals get rejected, let’s take a peek at the big picture. Take a moment and put yourself in an agent or editor’s chair. Remember, as an agent or editor, your livelihood depends on picking the moneymaking proposals and avoiding the deadbeats. There you are with literally feet of paper in front of you, which you’ve lugged home because you couldn’t get through all of it at the office. Dishes are still in the sink, you’d love to at least say hello to your cat, dog or significant other before falling into a tired heap on your unmade bed. You pick up the top document. It’s got ink smudges. You quickly put it aside – if an author can’t be bothered to send clean copy, what does that say about the rest of their work? The next proposal is written in type too tiny to read easily. That too goes into the reject pile. The third chunk of paper actually looks attractive. This means the agent or editor needs to look inside for a reason to reject the proposal. Look for a reason? Yes! Every proposal that looks like a possible go means a truckload of work for the weary editor or agent, so they look for even the smallest reason to toss your proposal aside and move onto the next. Keep this scenario in mind as you write your proposal. Remember, it’s your job as an author to pre-emptively answer every possible objection an agent or editor could make to publishing your book, with a convincing argument about why and how they as publishers will benefit from investing in you. If you do this effectively, you’ll set yourself apart from the other ninety-some per cent of the authors who haven’t bothered to master this process. The rest of the question of who accepts your proposal will come down to chemistry, whim and other factors beyond your control. So let’s turn to the factors you can control. Here are three big reasons proposals get rejected and what to do about them now – before you send out that proposal! Many authors find the process of writing the book proposal distasteful, because it involves stepping away from the ideas themselves and pitching them in an unfamiliar language. So they try to get through the process as quickly as possible and therefore produce a substandard proposal that fails to sell their book. Embrace the new world of selling your work, and decide to wear the “book proposal writer” hat with gusto, at least until you’ve got your advance check in hand. Realise that a book proposal needs to be written in a different voice, and with a whole other purpose in mind, than your book itself. A book proposal is sort of like a little book about your book, designed to sell the publishing staff on putting money behind the book. It’s essentially a business plan featuring you as the entrepreneur and your book as the product. So, either become an expert in this new way of writing, or hire an expert to do it for you. Either way, your book proposal has got to stand head and shoulders above the rest if it’s going to pass the scrutiny of agents and editors. The first thing a publisher wants to know about a proposed nonfiction book is, "does the author have a platform?" "Platform" essentially means presence in the world. Publishers want to see quantifiable evidence (namely, numbers) of things like website hits, sales of tapes, pamphlets or ebooks, circulation of places you’ve published articles, mailing lists, speaking engagements and media appearances. They want to know who’s listening to you. It’s not enough to have a good book idea – publishers want to see that people are already interested in your message in other forms. This helps convince them that there will be an audience who will buy your book once it's published. start a mailing list, even if only your friends are on it at first. Get a service like topica.com or sparklist.com to manage the list and put a sign-up box on your website so you can add people continually. What are you waiting for? Pick three of these and get going! Do the other two next week. By the time your proposal is written you’ll have the respectable beginnings of a solid platform. Oh, would that that were true! Instead, publishers today expect the author to have a plan (a comprehensive plan, if they’re going to put any kind of money behind it) to promote their book. If you’re lucky, they’ll help you out. But don’t count on it. Through your proposal, convey the idea that you think promoting the book is your job and yours alone, and convey in your promotion plan every bit of time and ingenuity that you can promise to promote your book. Remember, your book proposal positions you as the entrepreneur and your book as the product. This means the investor (in this case, the publisher) needs to be convinced that your product is worth putting money behind. The more you show you know how to promote, the better they’ll feel about parting with lots and lots of money to put behind you and your efforts. What if you really hate the idea of writing a book proposal, or no matter how hard you try, marketing language just isn’t coming to you? If for whatever reason you’re not sure if your proposal is bulletproof, take a course or get an evaluation with a qualified publishing consultant to get your proposal in the best shape possible. If you have more money than time and inclination, get the consultant to write the proposal for you. No, that’s not “cheating”, it’s just freeing you up to do what you love. Make sure you choose someone with a successful track record in book proposal writing in particular, which is different from grant proposal writing, journalistic writing or any other kind of writing in that its sole purpose is to convince a publisher to give you money to write your book. The publishing industry operates according to quirky rules which require strict compliance, or else the author’s proposal gets pushed aside as fast as the editor’s next breath. You can also find the Book Proposal Boot Camp on CD at the above url, as well as books we recommend. The founder and principal of GetPublished, Jill Nagle has been helping other authors get published for the last ten years. She also manages to find time to do her own work. Her most recent book is How to Find An Agent Who Can Sell Your Book for Top Dollar: Jill’s Guerilla Tips and Tricks, see http://www.FindTheRightAgent.com for more information. Her books have been acclaimed in the alternative press, and her essays, book reviews, fiction, poetry and articles have appeared in dozens of anthologies and periodicals. Her first book, Whores and Other Feminists (Routledge, 1997) still earns royalties. An online successor to the print magazine The Argotist has been launched. denotation and precision of meaning. A new online service has been launched for authors who have completed two or more full-length novel, called "Can Write Will Write". The service is restricted to only the most committed writers (i.e. those that have written two full-length works), who may submit up to five thousand words per book plus synopses. These will be read by assessors, and if deemed suitably professional, will be approved for publication on the website. It costs nothing to submit your work. If chosen, writers are normally asked for a contribution of £100 to put both your offerings and synopses on the website. However, the first ten authors will have their work put up free to get things started. Work remains on the website for one year, and there is nothing to stop you getting a deal elsewhere during this time. Book Marketing from A-Z, a compilation of the best promotional strategies of 300+ authors of all genres, is compiled by Francine Silverman and published by Infinity Publishing. "This book contains everything a new (or even experienced) author needs to begin marketing," writes book reviewer Jeremy Hoover. "Authors might be surprised to learn that there are many free things they can do to market their books!" The Poetry Weekend will be on Saturday 3rd and Sunday 4th September 2005, with special guests Sue Tordoff and Gerald England. king4@btinternet.com, or visit poetryscotland.co.uk for more information.